The bedside tables Duplex are made of one piece of wood, assembled and hand- finished. 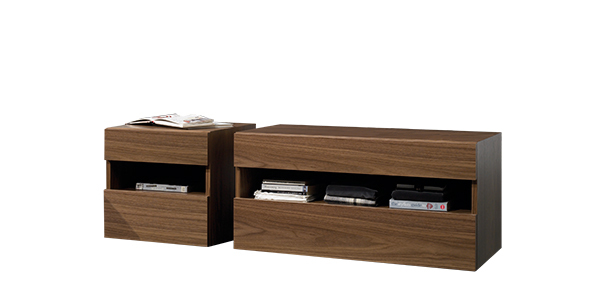 It has two drawers in different height sizes, separated by a central open-shelf.This open-shelf makes it such a unique design. It is available in different sizes and finished in wood or lacquered.